Earlier this year in autumn we had the crew from Home Beautiful come to the house to take photos for a feature which has recently hit stands. It is a wonderful spread, over 12 pages, with lots of gorgeous images of the house by photographer Chris Warnes and a great article written to accompany. It’s a lovely keepsake of how we have transformed this house. Some of the interior colours in the printing haven’t come out very accurately and don’t show the house as it really is in person. 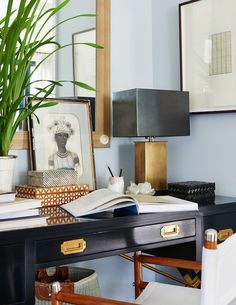 In my experience as a former magazine stylist I found blues and greens often seemed challenging to reproduce accurately, particularly the subtle nuances of colour, tone and texture. It’s a good example of why we shouldn’t ever rely on magazines, brochures and printed pages to pick paint and fabric colours because they are often not the same. I have take some photos of the spread for those of you who don’t live in here or haven’t seen it, am also including some images I took at home, and also showing another few rooms which weren’t included in the article. I do buy this magazine off the supermarket shelves in NZ when I see something I am interested in, would love to get this copy, what issue is it please (as in month?). 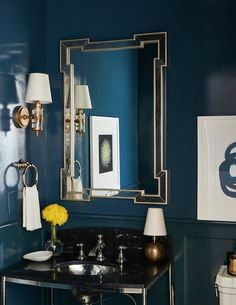 Your house is gorgeous, I know what you mean about colours as when my house was featured on Houzz as an interview with me, the blues came out far more vibrant than they actually are. Thanks Lynette, many of them came from the US including the one over the dining table. 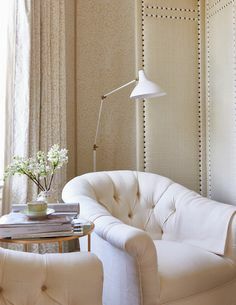 Can be hard to find fabulous affordable unique lighting here. Stunning Melinda you most both be so proud. Take time to enjoy the fruits of your labours. Regards Ann. Stunning. You have done a superb job with your new home. So warm, welcoming and practical. Well done Mel, your home is so deserving of being in “Home Beautiful”! Are you still taking appointments for new clients? Our house plans are finally in council and we are locals now. Would love some help with colour/tile/wallpaper etc selections! Martyn Lawrence Bullard Sinhala Linen print by Schumacher. You can order it through me. As I have said over and over again how I love your home, I would really love to know where is your TV? Is your family room set out to watch TV, in my house it is hard to set out a beautiful family room like yours as my family love to lounge around and my adult kids have friends over all the time and we love entertaining in that room aswell. The kids have a TV in their playroom and we have one in the snug which is the navy room. Stunning and inspiring as always. Congratulations Melinda! Just beautiful – it must be wonderful to wake up every morning in your amazing home. Thanks for sharing it with us! Can you tell me what paint colour and brand did you use for your kitchen/dining room plus living/family room?. Plus bathroom. Many thanks Ann. Green with envy here! Absolutely love your work. An exterior question if I can…..What colour is your house painted please? We are currently agonising over colours, far too many shades of white to choose from. We too have a brick feature chimney running through both levels of the house and white trimmed windows. Thanks Melinda. It’s a Dulux colour called Manorburn, and it’s a light grey. I did see this feature in Home Beautiful and was stunned at how similar your look is to Canadian interior designer Sarah Richardson, was her style a reference for you… hence your nod to American Interiors? No it wasn’t but I do like her work and have used some of her fabrics.